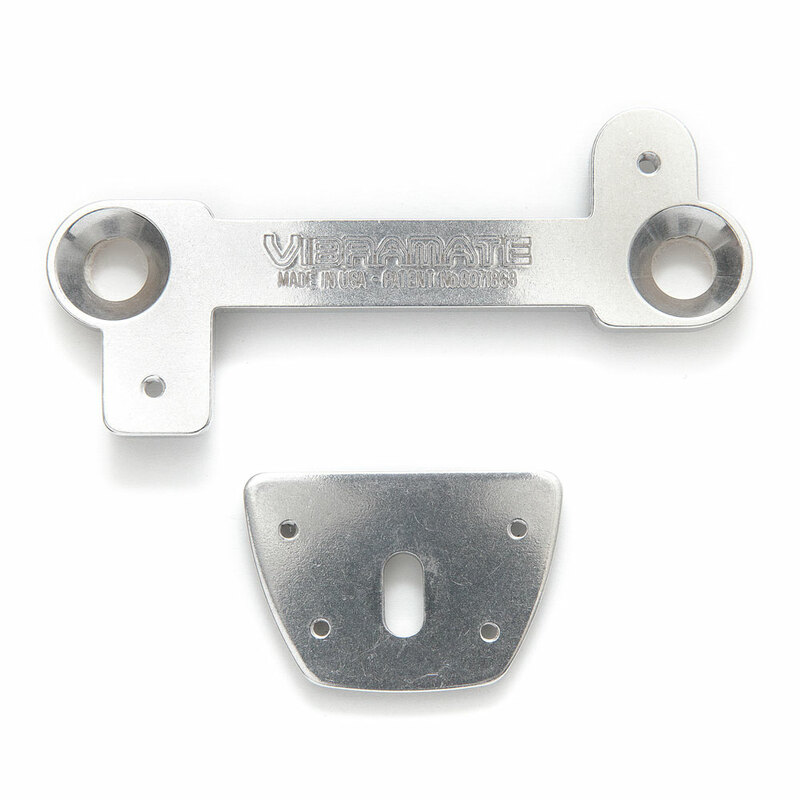 The Vibramate V7-LP Les Paul Conversion Kit allows you to quickly and easily mount a Bigsby B7 vibrato to your Les Paul style guitar without drilling any holes in the body for a completely reversible mod. The V7-LP plate mounts to the body by screwing the 'dogbone' plate in to the existing tailpiece body anchors and the back plate is secured by the strap button screw, and then the usual mounting holes in the Bigsby B7 are used to mount it to the Vibramate plates. The plate fits tailpiece mounting holes that are the standard 3 1/4" apart (82.6 mm) and the kit comes with both imperial thread screws (for mounting to Gibson USA guitars) and metric thread screws (for mounting to 'import' guitars like ESP, Schecter, Ibanez etc. ).